"A great atmosphere and friendly regulars. Limited selection in the humidor, but very good scotches as well as other liquors, and an extensive wine list. 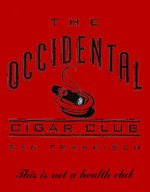 Don't worry about the limited cigar selection, Grant's Tobacconists has a great walk-in humidor just a short walk away at 562 Market St.
Bring your wallet, it's San Francisco."